North Carolina Native, Gene Hamm, has designed golf courses all over the U.S. many of which are beautiful Myrtle Beach golf courses. In 1987, he added Burning Ridge to his list of Myrtle Beach golf courses. Hamm used beautiful rolling terrain to build wide, lush fairways and incorporated the natural beauty of the land to create this masterpiece. Winding through pristine lakes and large bunkers, the course will provide a challenge to all skill levels and this fun course will provide an enjoyable day to everyone. In 2006 Burning Ridge won “Golf Course of the Year” honors from the South Carolina Golf Course Owners Association. 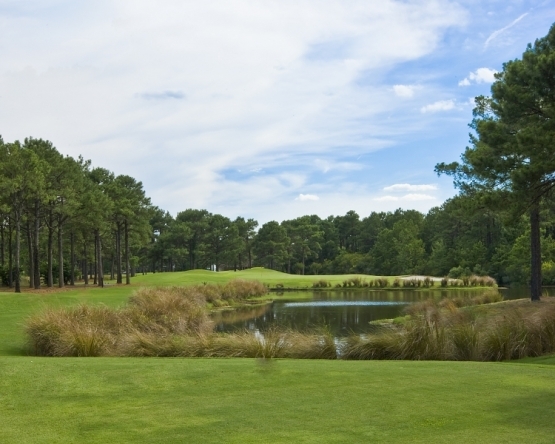 Whenever booking a Myrtle Beach golf package you may want to include this fun but challenging course. While visiting Myrtle Beach be sure to check out the many Myrtle Beach area attractions and Myrtle Beach fine dining. Book your next Myrtle Beach golf vacation today!